The way in which Marijs Boulogne (°1978) presents female sexuality on stage is unique. 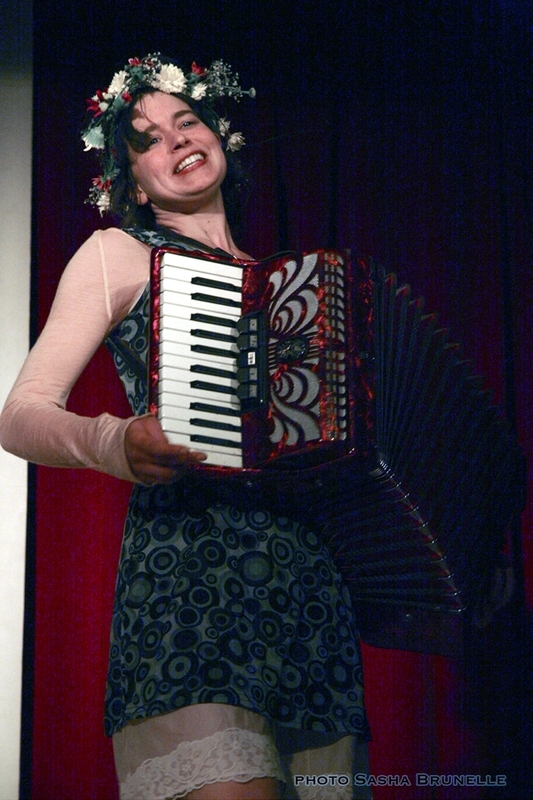 Her imaginative theatre language is unusual, but direct. She knows how to address a wide audience within a mainstream context of musical and spectacle. Marijs Boulogne had already attracted attention with her final school project Endless Medication, which was shown in 2003 at Kunstenfestivaldesarts and in the same year was among the selections of Het Theaterfestival. The production won several prizes, including the ‘prize for young theatre work’ by Theatre by the Sea (Theater Aan Zee) and the SACD prize for best Dutch-speaking creation of 2003. From 2000, under the name Excavations, she presented her ‘embroidery-performances’ which resulted the theatre performance Pas – maar al rot, an interactive version of which she is currently presenting internationally under the title The Anatomy Lesson. In it, she appears with an anatomical doll, sewed and crocheted down to the last detail. Marijs Boulogne also wrote and directed among others Good Habits, Picknick!, Voulez-vous pouper avec moi and Resist Herzschmerz. Themes that emerged in her first works, such as female sexuality, ecstasy and passion, the borders between friendship and treason, a childlike nature and obscenity, remain continuously present in her work. Invariably two young women  often at the transition from girl to woman  appear on stage as main characters. A friendship or bond comes about between them that is never one-sided. These themes can also be seen in Marzipan or Plexi. 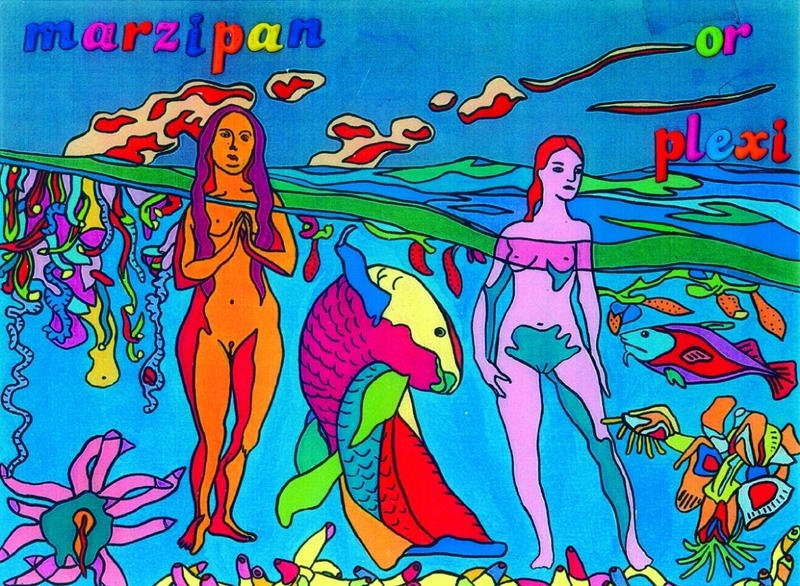 Marzipan or Plexi can best be described as a fairytale-musical-performance: Marijs Boulogne has created a production that combines the narrative character of a fairy tale with a musical (text, music, dance) and the intractability of a performance. 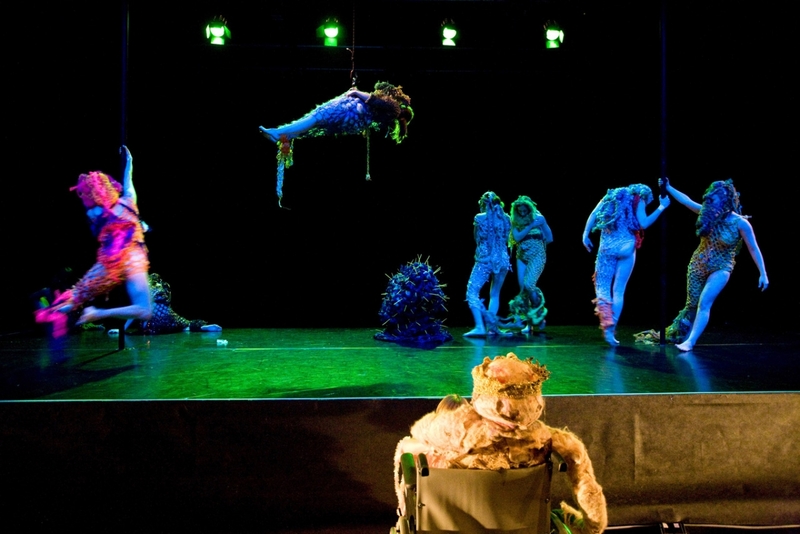 The performance takes place in a palace where the final descendant of a dark royal family pines away his time with his favourite hobby: a deep-sea aquarium. It contains the most beautiful creatures from the sea. Of these, Plexi, is the most extraordinary. She is a sensual mermaid with a jazzy voice and razor-sharp sharkskin, born of a shark and a drowned sailor. The prince is seeking a bride, but who would want to marry him? Then the lovely Marsepein appears. The fairy tale that Marsepein and Plexi narrate and sing together in an almost childlike, playful manner is about ‘hunger’: desire, (female) ecstasy; symbiosis and sexuality. 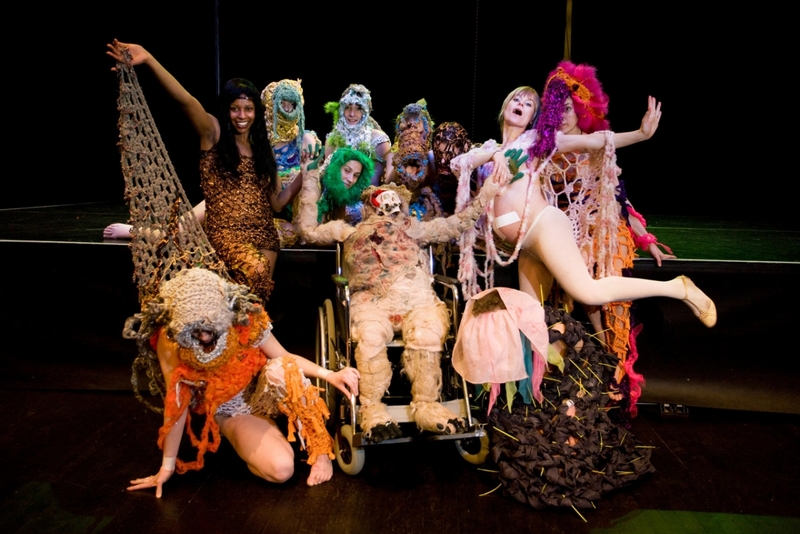 In the aquarium, the strangest fish species imaginable swim around, with their fins and tails crocheted of glittering materials in diverse colours. The prince on stage is a doll, with crocheted intestines and a heart made of cloth. All the characters are ambiguous. They are animal and human. Real and invented. Doll or human. They are neither male nor female, but their sexuality is emphasised. In the relationships they have with one another, sexuality receives other connotations. New words playfully emerge to describe it. The process of developing the English language version of Marzipan or Plexi started in 2008 at the request of Brut in Vienna, and was further developed thanks to Siemens Arts Program in the Kaaistudio’s in Brussels, in Antwerp (Zuidpool and Scheld’apen) and Mechelen (kc nOna). 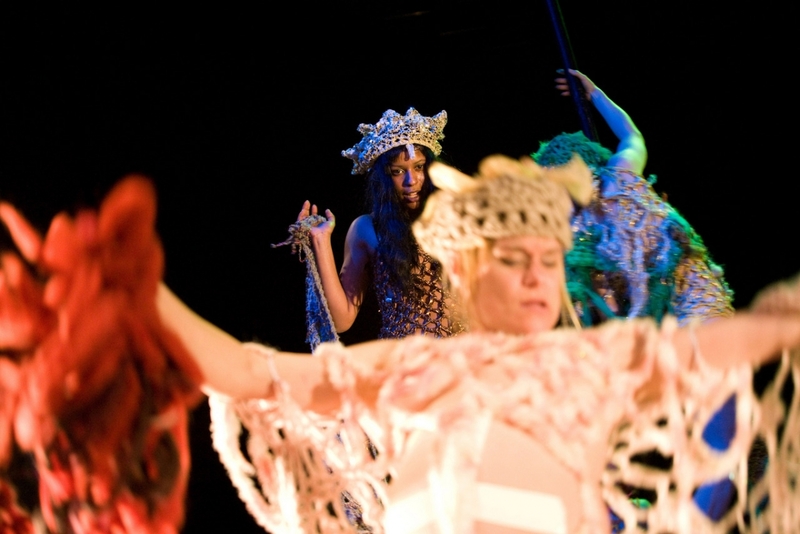 The production was developed further in March 2009, at a workshop in Ljubljana with eight dancers. At that stage, the work was shown at Elektrarna in Ljubljana and at the Gravity Festival in Vienna’s Tanzquartier.